Limestone Flowstone formation in one of many of caves. 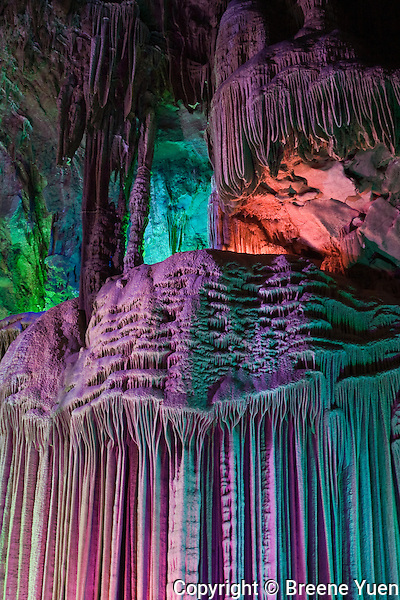 The colorful lighting serves to provide a Fantasyland experience, and is also thought to be less stressful to the formations compared to straight white light. Near Guilin, Li River, May 2007.